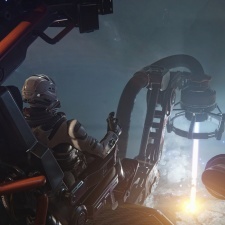 Ambitious crowdfunded sci-ti title Star Citizen has now raised more than $200m from its fans. That's according to the game's funding page, which keeps a running total in real-time of how much money the project has made. At the time of writing, Star Citizen has raised $200,199,320 from 2,126,446 fans. This funding began in 2012 when Wing Commander developer Chris Roberts took to Kickstarter where it raised $2,134,374 from 34,397 backers. Back then the title had a 2014 release date, a launch window that it has decisively missed at this point in time, more than four years later. The game currently doesn't have a release date, but the current roadmap points to the 3.6.0 alpha update rolling out at some point in Q2 2019. Don't worry, though. We might be finding out when single-player campaign Squadron 42 is launching next month. In the last month, the game has raised in the region of $5m. In just one week in October - following a bout of new trailers from developer Roberts Space Initiative - the game raised more than $1m in just a week. In 2017, Star Citizen raised $34.91m - double the total amount raised by video game Kickstarters for the year as a whole. Quote: "Back then the title had a 2014 release date, a launch window that it has decisively missed at this point in time, more than four years later." Project scope change mid-2014 with Backers approval through several pools and approval for more features (stretch goals). In 2016 Backers decided that no more stretch goals was needed and vote accordingly. Since end of Kickstarter end of Nov. 2012, Cig switch from a 12 guys team, no studios, no pipelines to a +500 team with heavily tweaked game engine. So is late by it is original Nov. 2012 Kickstarter but not based on its evolution of scope. Just saying. As you said backers are expecting a roadmap for SQ42 (solo) during next December and SC roadmap (MMO) is visible on CIG web site, giving a year ahead of contents to be released.